Product code: 294 Categories: Sold Items, Sold Omega Watches. What a lovely fully automatic Omega Seamaster, dating from 1955. 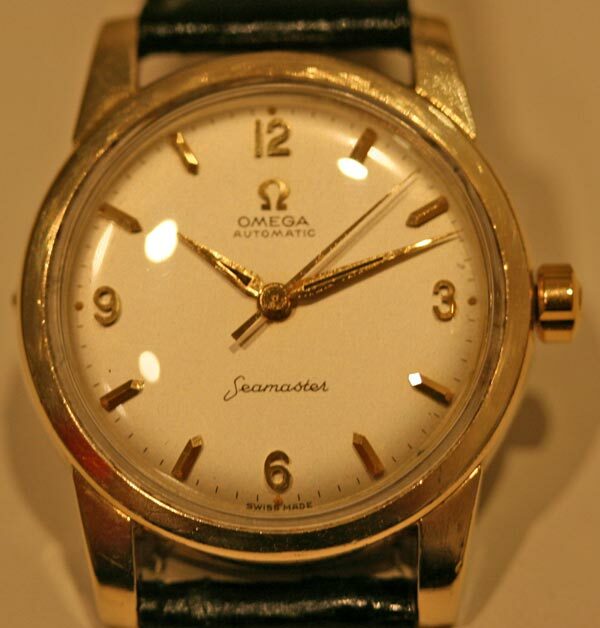 With a gold capped case that is in wonderful condition, this watch has the Omega calibre 501. The dial is in fantastic condition, and is not a repainted or replacement dial. The case measures 35mm from left to right, not including the crown, making this a wonderful vintage wrist watch, in a nice large size. The movement has been fully serviced and comes with a warranty.